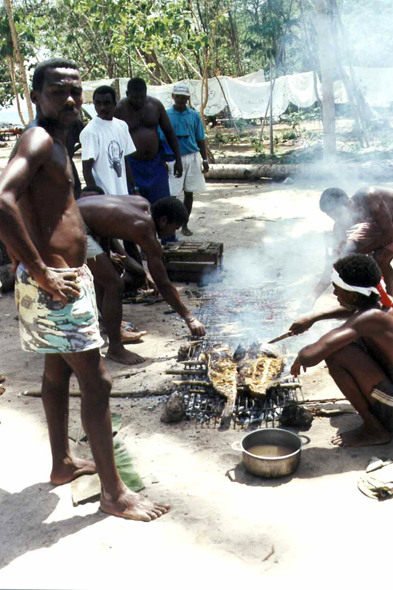 Preparation of a meal on a beach. The fresh water or saltwater fish constitutes a centrepiece of the local food. Madagascar is also the country of shellfish, the lobster in particular is cooked with various ways: court-bouillon, American, fried with butter, in oven in a cataplasm of algae or sprinkled with green lemon.